I was lucky enough to be born in a country where girls don’t risk their lives being secluded in menstrual huts during their period.I never had to skip school because of inadequate hygiene facilities and I was never once denied permission to eat at the family table during my cycle for being considered impure. While these extreme scenarios might sound outlandish or even impossible to many people living on my side of the globe, they represent daily realities for hundreds of thousands of women around the world. They are not for me – and never were – and this makes me, without any doubt whatsoever, a lucky girl. When in need,I could always count on some girlfriend having tampons and pads and the most embarrassing “period experiences”I can recall are staining my trousers or running out of pads and having to use toilet paper instead. I did however, like many of my girlfriends, slide tampons in my sleeve every time I had to change, hiding the real reason why I needed to use the toilet. I masked the cramps and the headaches, the moodiness and the discomfort with a simple “I’m not feeling well,” especially if it was a guy asking after it. My life went on while I pretended I wasn’t bleeding, I wasn’t in pain, I wasn’t waiting for school to end to go rest on my bed. Every. Single. Month. I spent years thinking it was just unfair that only women had to go through menstruation, but I never raised questions about my cycle even though I worried about its symptoms and irregularities. While menstruation never represented an obstacle to my life, I didn’t embrace it as a desirable and healthy part of myself. I learnt a lot since I started talking about periods. 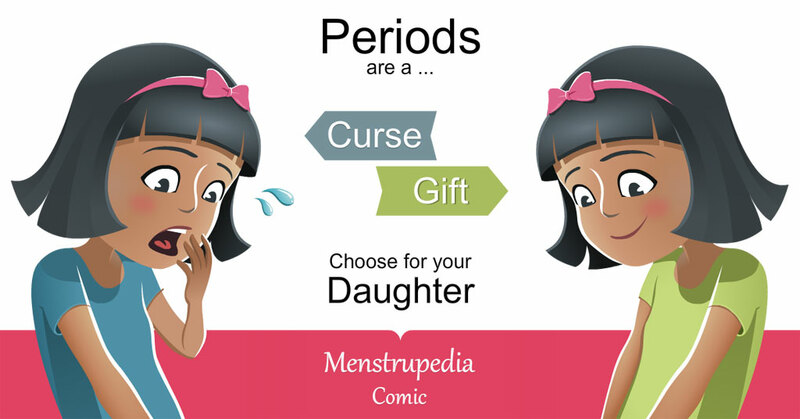 Reading and researching on menstruation made something in me click as I realized that it is indeed a taboo subject. I started talking to friends, relatives and guys about the menstrual cycle, asking what they knew of it, who taught them, whether they felt uncomfortable discussing it and whether they wished they knew more. Openly talking about periods changed me, and above all, it taught me a lot. Your body is not your enemy, don’t treat it like it is: And here I repeat, your body is not your enemy. Uninhibitedly talking about menstruation gave me a whole new relationship with my body; one of acceptance and care, one of curiosity and gratitude.For some reason we are led to think that investing money in expensive clothing and cosmetics is okay, but when it comes to menstruation we should just pick the cheapest item at the drugstore and be fine with it. The market of female hygiene is changing and there are so many high-quality, sustainable and simply better products to choose from. Treat yourself to them, because your body deserves it. 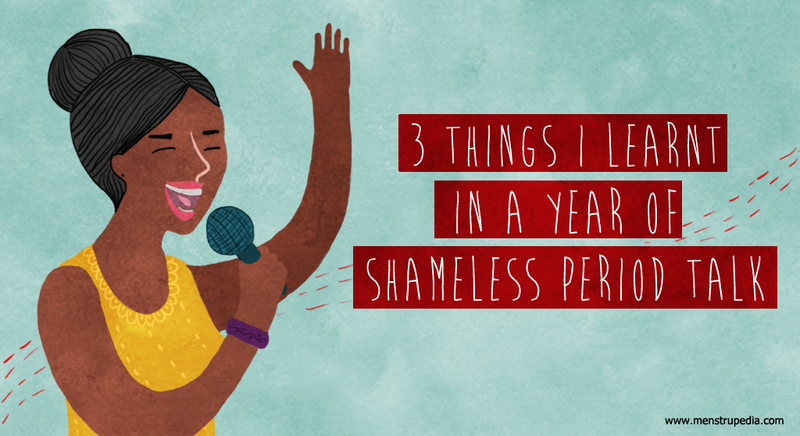 2.Curiosity trumps awkwardness: Yes, you will get weird looks, some “ewws” and a couple of people walking away when you first openly talk about menstruation. I was surprised, however, to see that after a few moments of awkwardness and silence, girls and guys alike start asking questions and sometimes even seem relieved to hear someone discussing topics they often wonder about too. Menstruation is normal and it impacts the majority of women worldwide. You can most definitely talk about it. And just as a side note,don’t exclude men from the conversation! If women are the first ones to keep menstruation covert and to avoid talking about it to male relatives, friends and partners, we cannot expect much to change. Knowledge is power:Even if all of us do get an awkward Biology lesson about puberty and the reproductive system, this past year I realized how even in supposedly more developed countries, most of us lack real knowledge when it comes to periods and fertility. 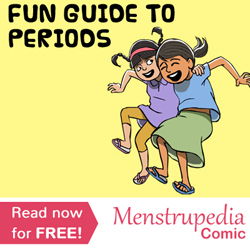 Knowing more about how your body works can make your life much easier and can teach you how to interpret the endless signs your body gives you about your health.Get your facts straight; do you actually know what happens when menstruation knocks at your and/or your (girl)friend’s door? If the answer is no, then read about it and learn and enjoy the empowerment that comes from it. As women, knowledge and acceptance of menstruation gives us a chance to synchronize our productive and reproductive time. As men, openly discussing it can help understand more of our sisters’, mothers’ and girlfriends’ worlds, emotions and lives. Maria Carmen is currently leading an academic research on social enterprises in the menstrual health space at the Erasmus University of Rotterdam (the Netherlands). She has gained experience both in social businesses (BeGirl) and non-for-profit (Simavi) organizations that work in the field and is currently Innovation Fellow for the Menstrual Health Hub, the first platform that influences, connects and unites the multidisciplinary world of menstrual health.